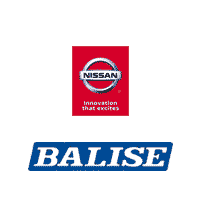 When you choose Balise Nissan of West Springfield to shop for a new Nissan car, SUV, or truck, you may also discover that the hardest part about the car buying process is sifting through the many outstanding models in the Nissan lineup to find the one that calls your name the loudest. Once you’ve got your perfect match, the next steps are easy, because our friendly and professional finance team here in our finance department is committed to working with drivers from all across West Springfield, Springfield, Chicopee, Holyoke, Westfield, MA & Enfield, CT in order to secure an auto loan or Nissan lease that will put you behind the wheel of that new or pre-owned vehicle you’ve had your eye on. You can even take a look at our page of new vehicle specials and deals. It might sound silly to say, but one of the biggest differences between buying and leasing a new Nissan vehicle is the fact that, when you choose to buy a vehicle, it becomes yours! What that means, though, is you can drive it far and wide, as much as you’d like, which is not the same for leasing. Another benefit to owning your vehicle is the ability to customize and personalize it in whatever way you’d like. If neon-green decals or racing stripes happen to be your thing, when you buy the car, you do it up. Those decals might make a difference if you ever choose to sell your vehicle, however, which is an option when you buy, but not when you lease. One thing to bear in mind about buying: once your warranty is up, the car remains yours, so at that time service and maintenance largely become your responsibility. Leases differ from auto loans in a number of ways, and while many drivers from Springfield, Chicopee, Holyoke, Westfield, MA and Enfield, CT opt to buy their Nissan vehicles with an auto loan, many actually prefer the terms of a lease. A lease works well for someone who wants to have a fresh, new car, truck or SUV every few years. When you lease, at the end of your terms, you just return the vehicle, and at that time, you can choose to move onto that year’s freshest models. One thing you’ll notice is quite different from buying, your lease contract will actually define how long you can keep the vehicle, as well as how many total miles you can drive it. These are called the terms of your lease. For Springfield area drivers who don’t travel very often, or who only drive a short distance, you can sometimes save a little money with a low-mileage lease! Another benefit to keep in mind: because lease terms are usually on the shorter side, there’s a good chance your vehicle will fall under the original manufacturer’s warranty for the duration of your lease, meaning many of the required service, maintenance, or repairs you encounter will likely be covered for you. But Which Auto Finance Solution is Right for Springfield Area Drivers? The answer to that question lies largely with you, but our expert auto financing specialists are here to help walk you through a number of options, so you can decide which one works best for you and your lifestyle. If you know what solution you want and you’re looking for a great place to get a head start, you can apply for financing online. The form is secure and confidential, and it could help you get the ball rolling on financing, before you yourself roll into our showroom, located on 500 Riverdale St, West Springfield, MA. If you’re not sure whether you’d prefer a lease or a loan, you can come see us here, or give us a call!